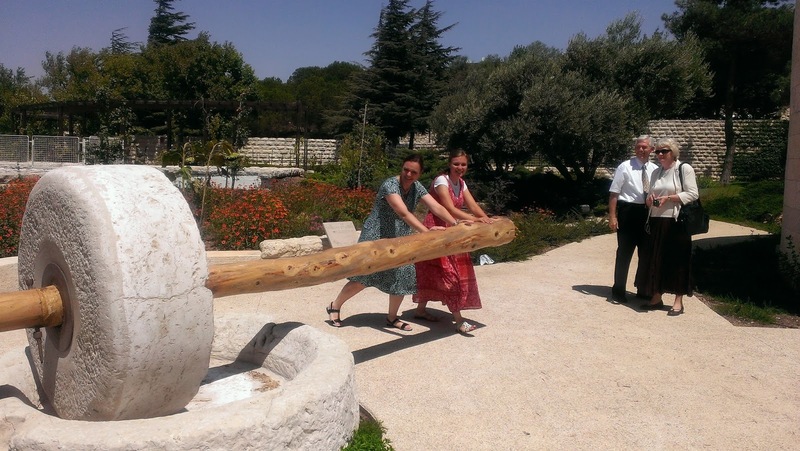 Last Week at the Jerusalem Center. 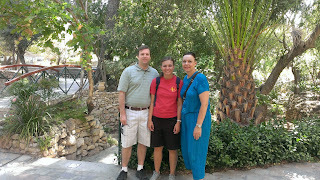 And My Parents Came Too! I am writing this on the plane ride back to Atlanta. This will be my last post about my experience in Jerusalem this summer. The last week at the Jerusalem Center was definitely an unforgettable one. 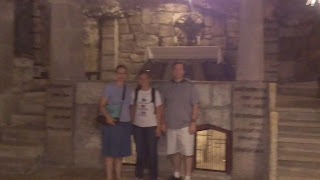 On Sunday the 11th, I went out with Jasmin Gimenez and Taylor Davies. We went to Dome of the Rock one last time and Ein Kerem. 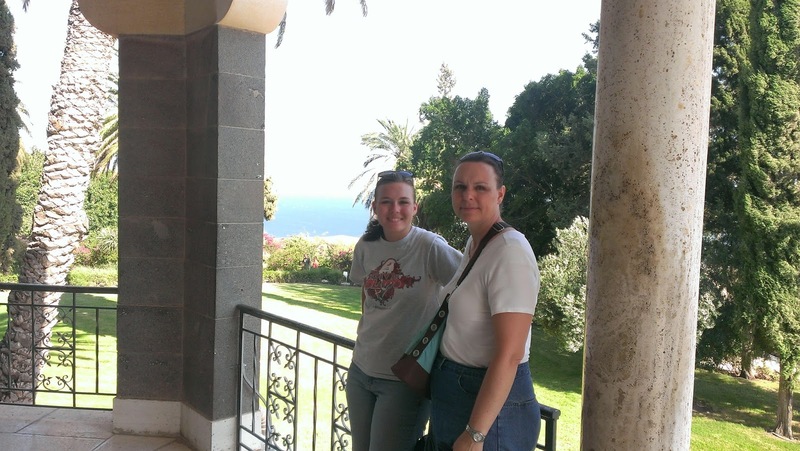 I wanted to go to Ein Kerem again because all of my pictures from when I was there before were lost, and Jasmin and Taylor hadn’t been yet. 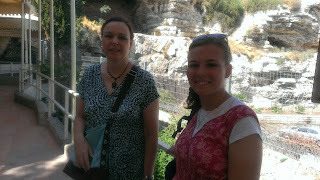 It was a really fun day, and I had a fun time getting to know those two again. 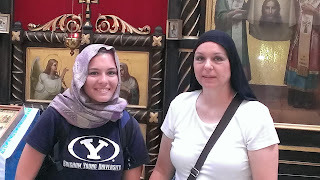 We also did some shopping in the Old City, and we went to part of a Catholic mass at St. Savior’s Church. We were also able to stop and see a Greek Orthodox church in Jerusalem that honors John the Baptist. 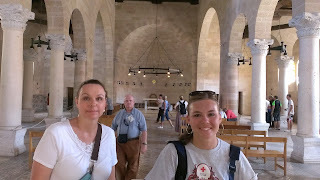 It has the longest iconostasis (screen in front of the altar) in the Holy Land, so that was really neat. 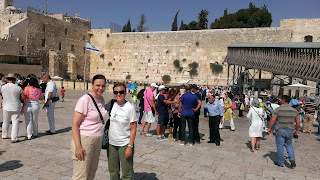 It was a very fun way to spend our last free day in the city. 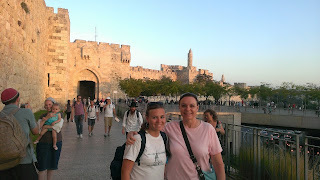 On Monday and Tuesday of the same week, we had what they call “The Last Week Walk.” We went to a lot of places that Jesus went during his last week. 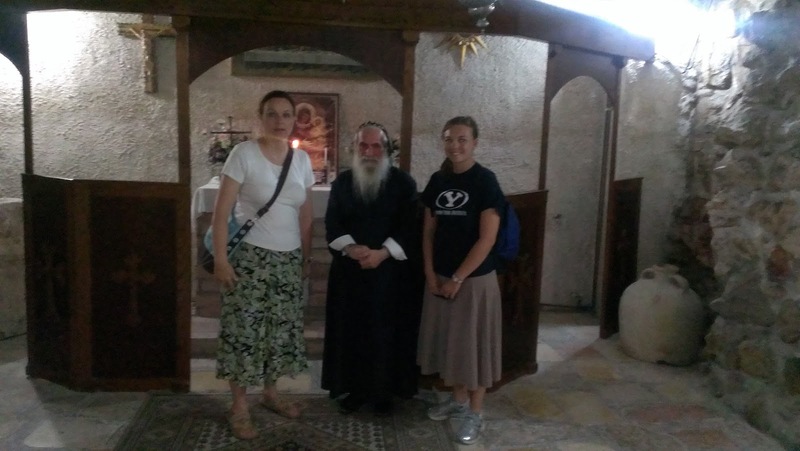 At each place, three or four students would give a spiritual thought and talk for about five minutes or so. 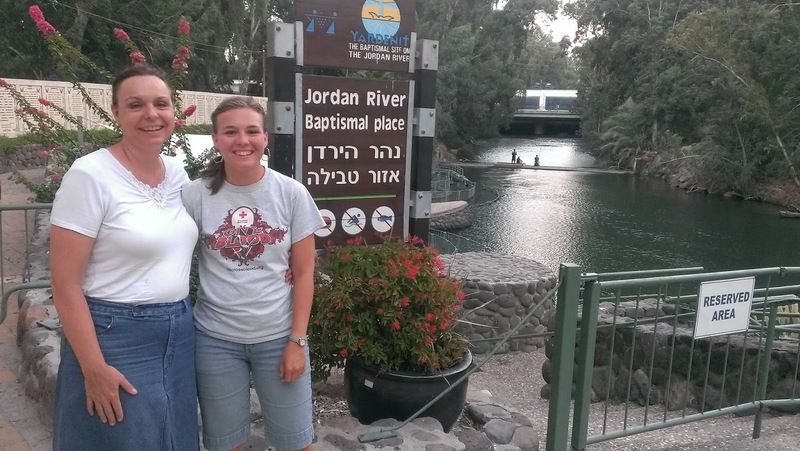 It was really neat to hear what everyone had to say about their experience this summer and to hear so many of my peers bear their testimony at special places that Christ visited during his last week. The places we went in order were Bethany, Bethphage, Pater Noster Church (honors Christ saying the Lord’s prayer), Dominus Flevit (honors Christ sitting on the Mount of Olives weeping over Jerusalem), Orson Hyde Park, the Garden of Gethsemane, St. Peter in Gallicantu (honors where Christ might have been tried by Caiaphas and where Peter denied Jesus three times), Dormition Abbey, the Cennacle (the Upper Room where the Last Supper was held), and the Garden Tomb. 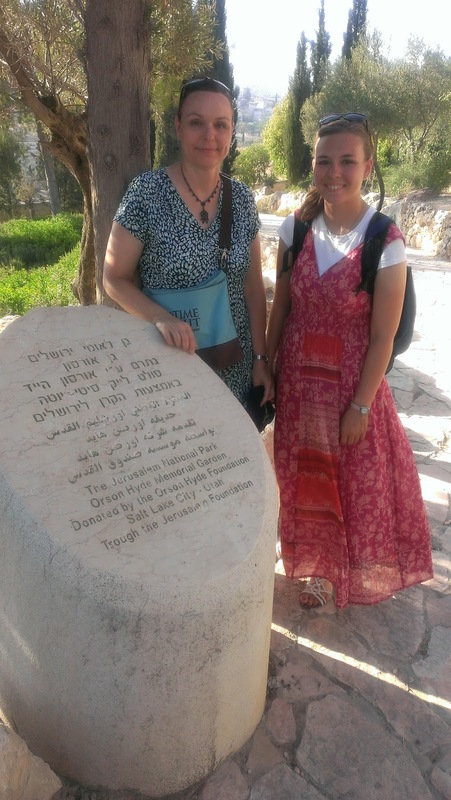 I gave my spiritual thought at the Orson Hyde Garden that commemorates Orson Hyde dedicating the Holy Land. I talked about the restoration of the sealing power and how Christ’s Gospel has truly been restored on the Earth today. I also wrote down in my journal something that each person said at all of the different sites we visited that stuck out to me because everyone had such good things to say. We finished the Last Week Walk with a testimony at the Garden Tomb. 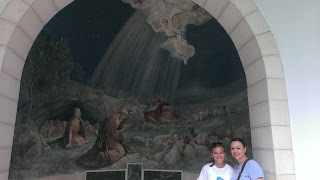 It was really really neat. 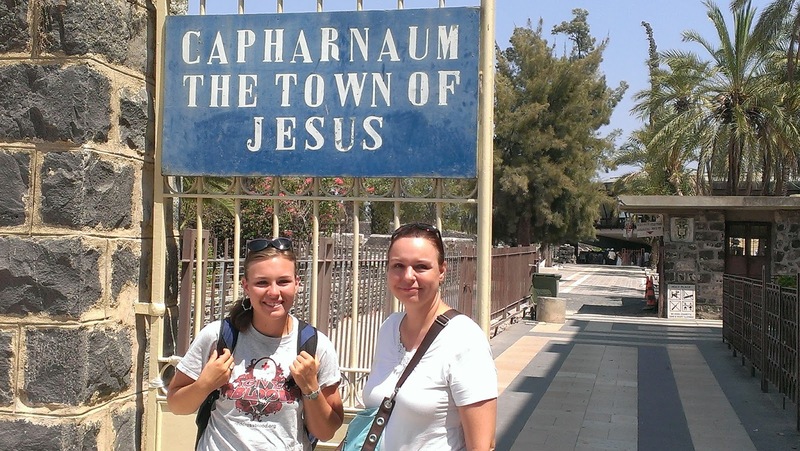 I felt the Spirit so much there as everyone bore their testimonies of Heavenly Father, His son Jesus Christ, the scriptures, and the restored Gospel. 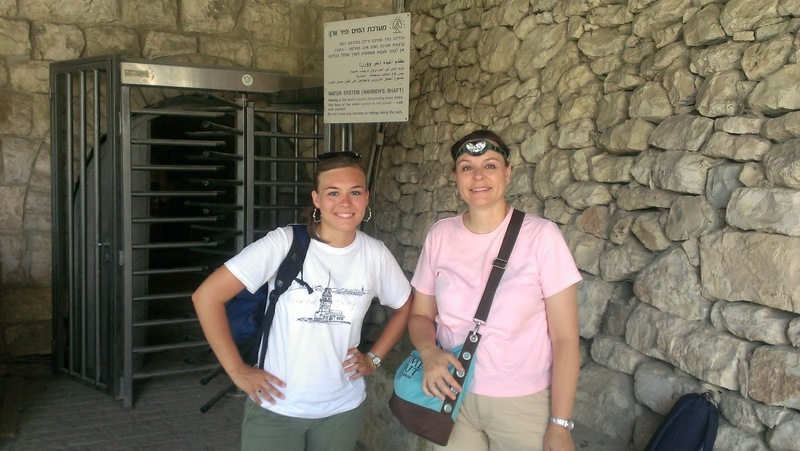 On Wednesday the 14th, I did laundry, packed up, and sorted all of my things in order to get ready to leave the Jerusalem Center. 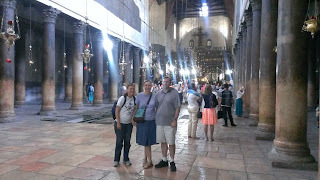 I went out into the city one last time with Amy and Stephen. 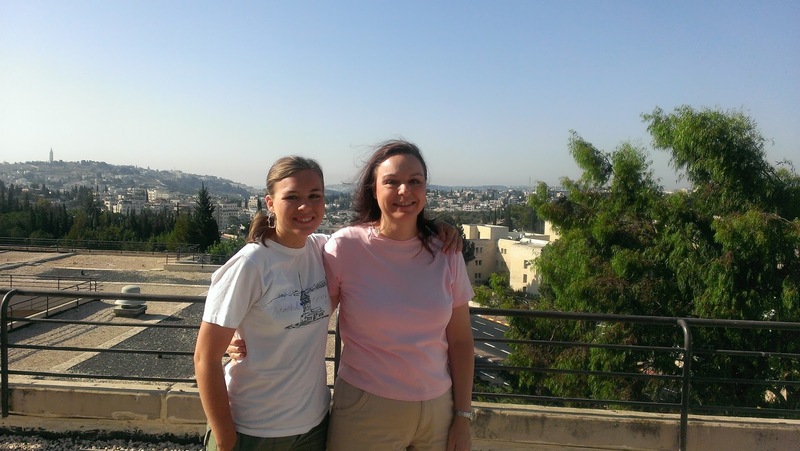 We went to Oscar Schindler’s grave and sat on the roof of the Austrian Hospice in order to look at the city one last time. We also did some last minute shopping and had a really great time together. 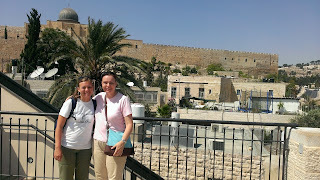 I’m glad I could make good friends at the Jerusalem Center this summer. That has been a huge blessing, and I’m sure it will continue to be. It’s really great to know that there will be almost fifty more familiar faces on campus this next school year. And it’s been great to become really good friends with a few of them this summer. On Wednesday night, we all said goodbye to each other. 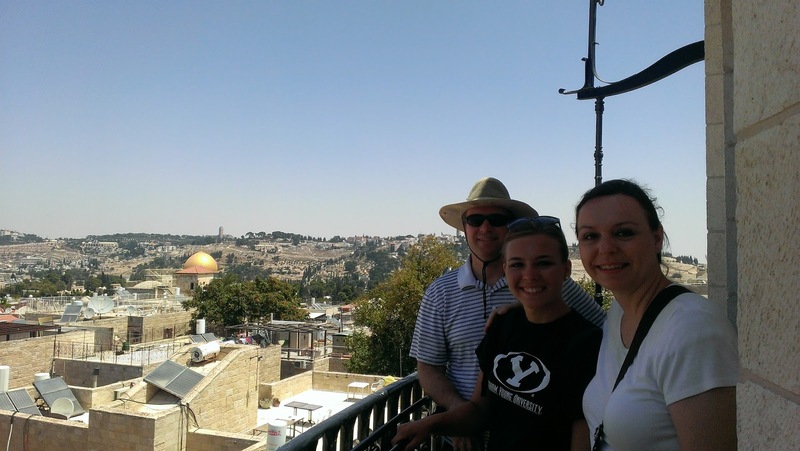 We sang a hymn out on the terrace overlooking the city and knelt down and said a prayer all together before everyone left for the airport. That was a special experience. After that, everyone went to go get on the buses to leave for the airport. By that point in time, my parents arrived at the Jerusalem Center. 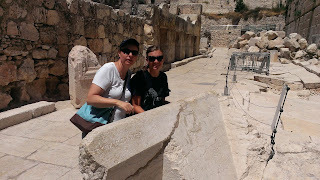 After all the other students left, I showed my parents around the Jerusalem Center, and that was really fun. 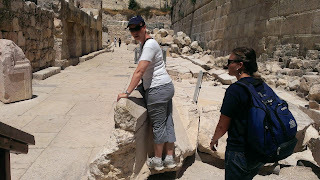 Then we went to our hotel, the Dan Jerusalem Hotel. 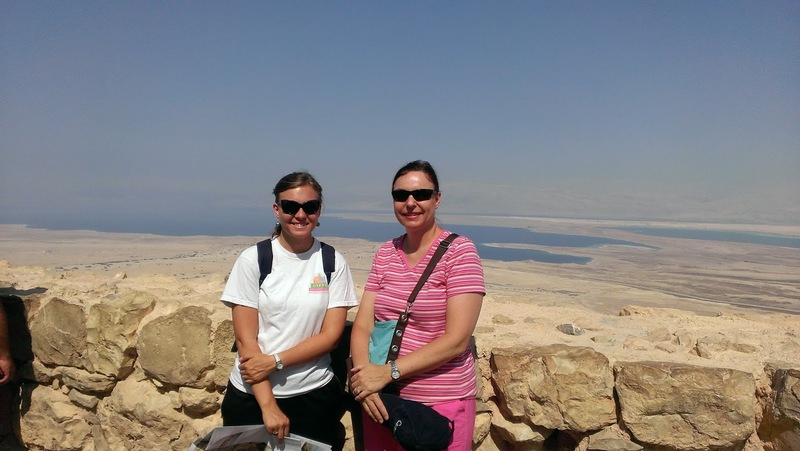 I spent a week in Israel with my parents. I was their tour guide. 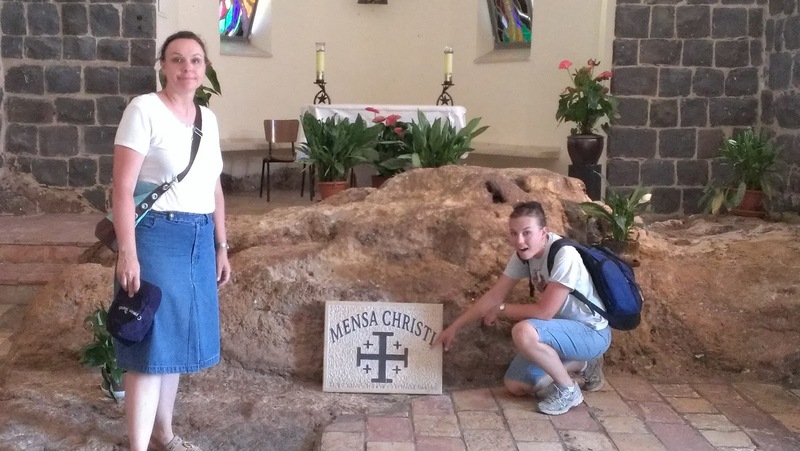 It was really fun to take them to all of the important places that I had visited. We had fun eating the food, seeing the sites, and making fun of the taxi drivers that were always trying to badger us and were offering us “special price” wherever we went. 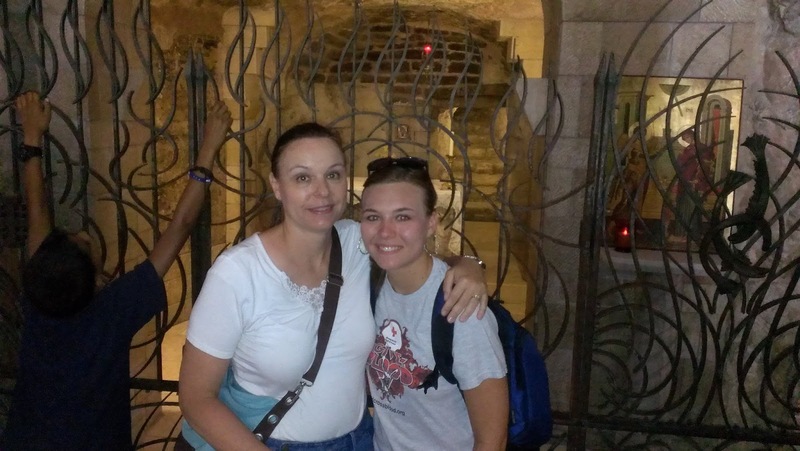 I’m really glad they came because it was neat to share the experience of being in the Holy Land with people I actually know for sure I’ll see again in twenty years. I flew out of the Tel Aviv airport last night at 12:40 am, and I landed at the JFK airport in New York this morning at about 5:00 am. 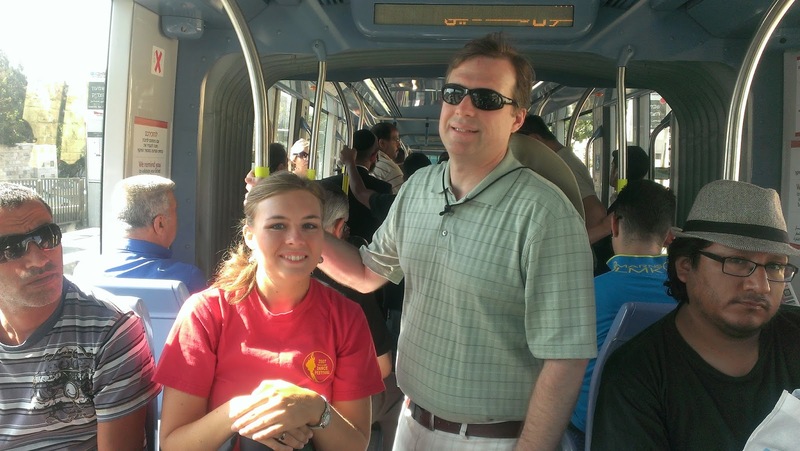 Then I got on a flight to Atlanta at 8:00 am, and I got home around noon. So I have been traveling for about twenty-four hours now, but it only will look like twelve have gone by. It’s a really strange feeling to be jet-lagged. Hopefully I’ll be over that pretty quickly. Anyway, it’s been a wonderful summer. 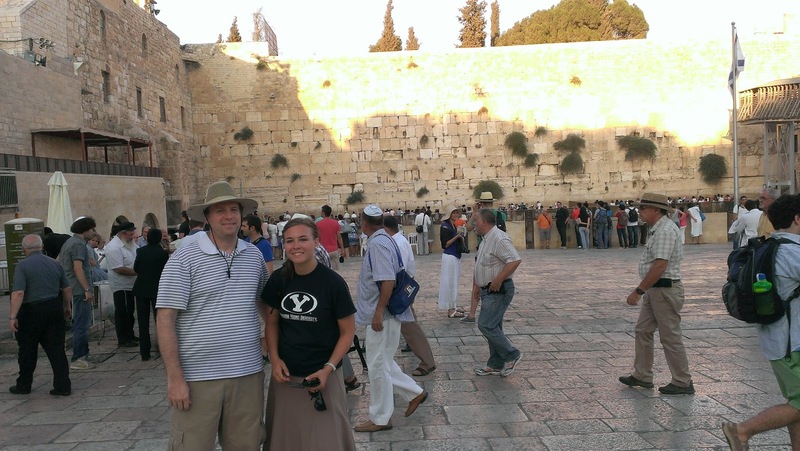 When people ask me, “How was it?” I’m not quite sure what to say because I’ve done and seen so many things and had a lot of experiences that have completely changed my perspective and understanding of the scriptures and of history. 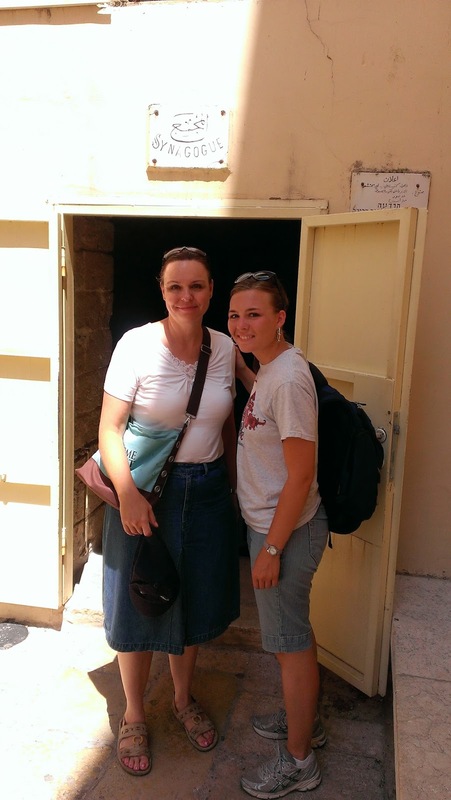 I've been able to come to know Jesus Christ and Heavenly Father so much better through this experience, but it's hard to explain all of that to someone in passing when they ask "How was it?" 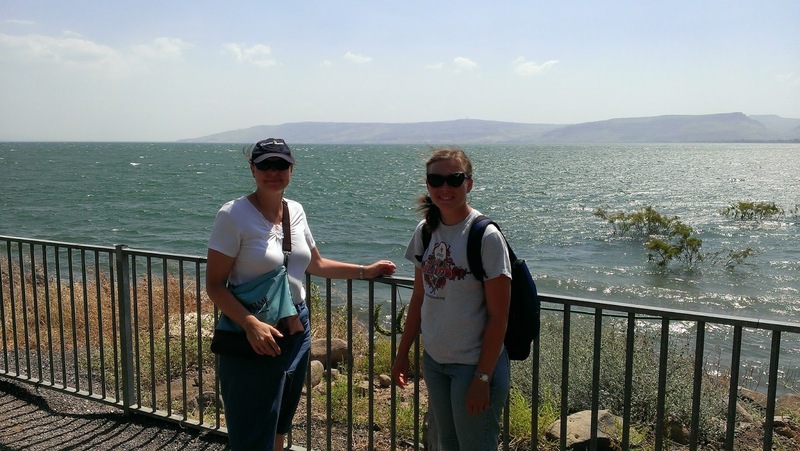 But I think the best response that I have about what my experience has been like will be, “It was a really great experience. 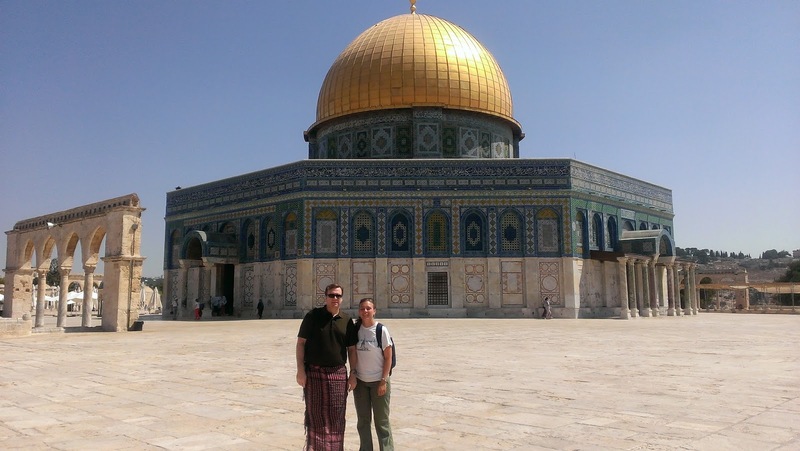 There were some hard things about it, but it was a once-in-a-lifetime opportunity that I’m glad I had. 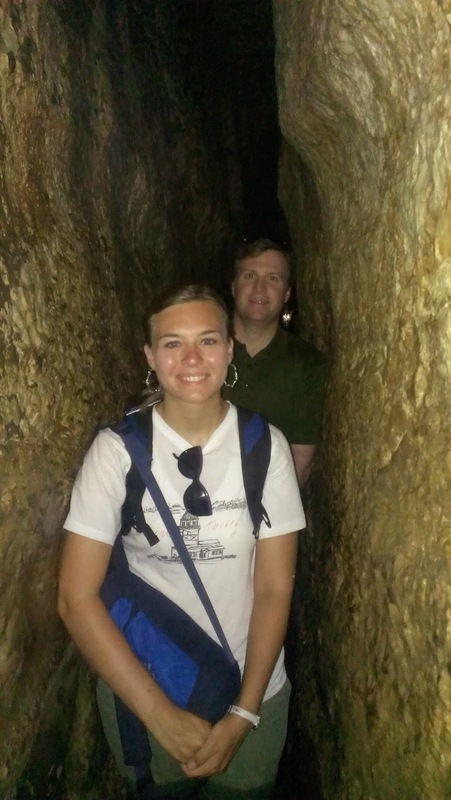 Yes, I had the opportunity to walk where Jesus walked, but more importantly, I had a unique opportunity to study the scriptures and land where he lived so I could become closer to Him and to more of Heavenly Father’s children.” Thanks to those who have read my blog! 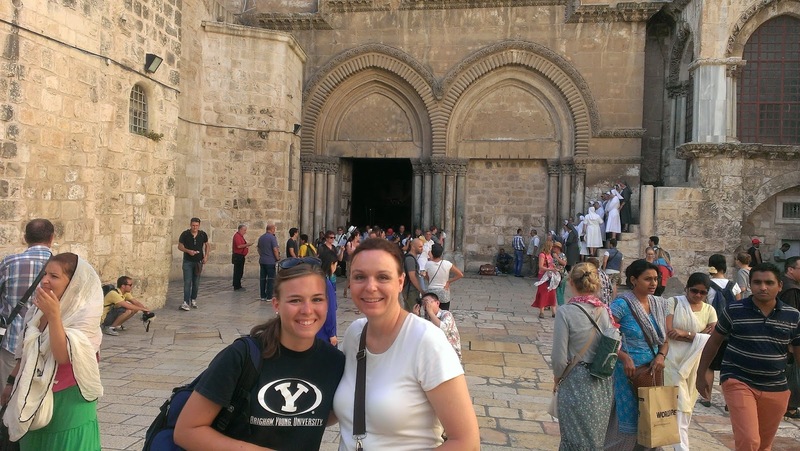 It’s been a fun way to share my experience at the BYU-Jerusalem Center this summer. 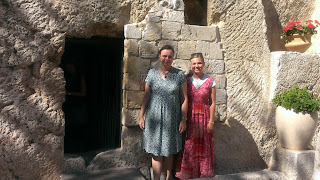 Me at the Church in Bethany that commemorates Jesus raising Lazarus from the dead. 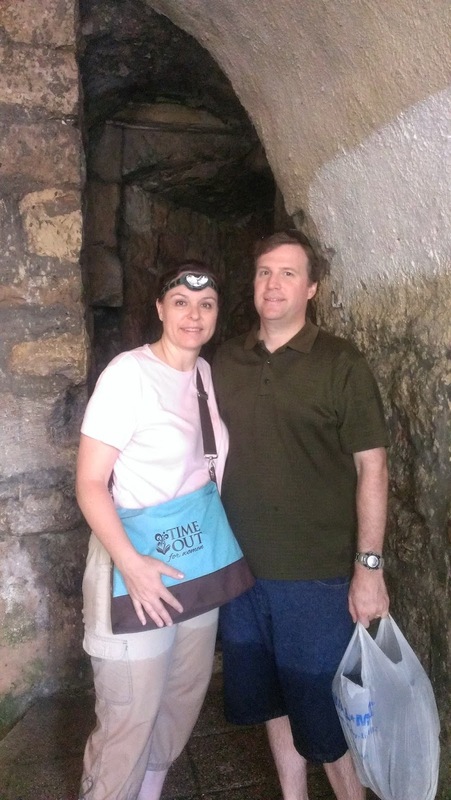 Me and Paul Bradshaw at Lazarus' tomb in Bethany. On the bus for the last time during the last week. Me at the church in Bethphage that commemorates where Christ started the triumphal entry. The rock behind me is a rock that the crusaders thought that Jesus used to get on his donkey. 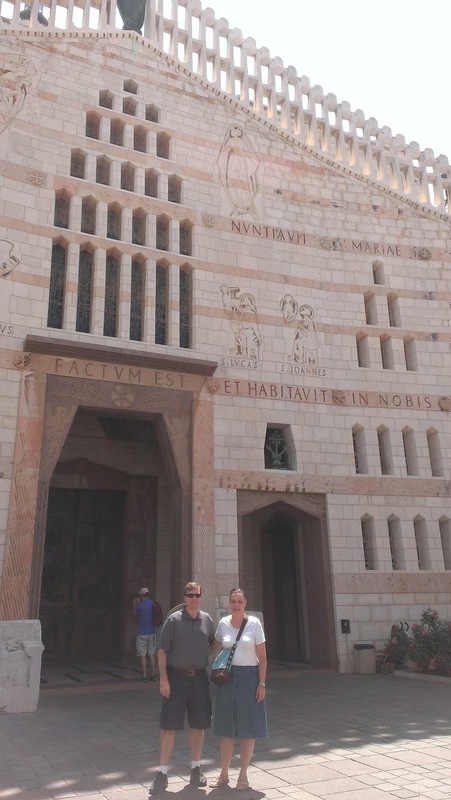 At the Pater Noster church with the Lord's prayer written in a lot of different languages on the walls. 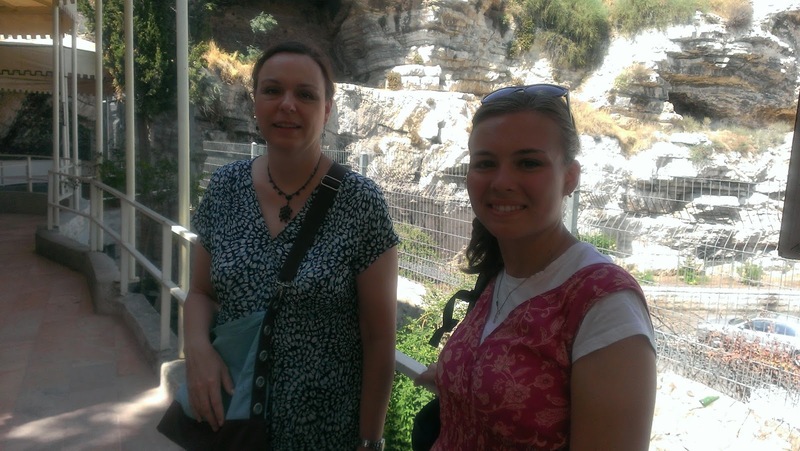 At the Dominus Flevit church that honors Jesus weeping over Jerusalem on the Mount of Olives. 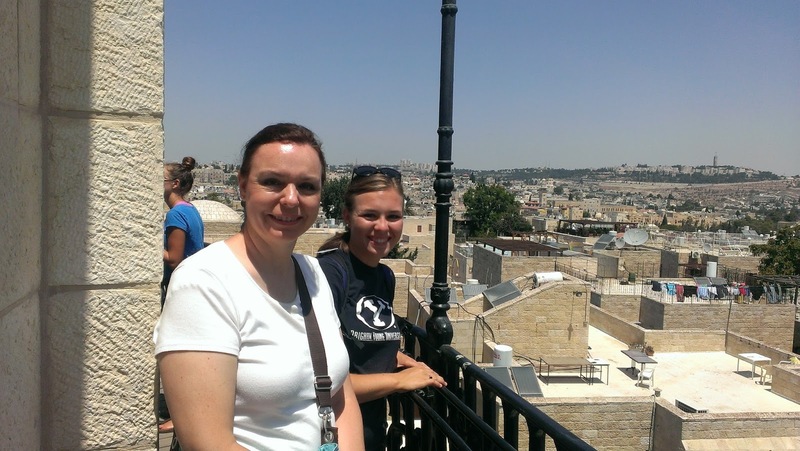 There's a cool lookout at the Dominus Flevit church that overlooks the city of Jerusalem from the Mount of Olives. This is me and Steve Mickelson at the lookout. A picture of our group in the Orson Hyde Park on the last day of our "Last Week Walk." Me in the Orson Hyde Park on the Mount of Olives. My friend Jasmin took this picture. 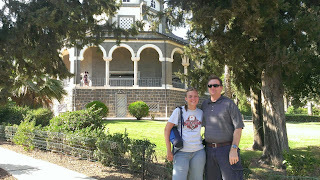 Me in the Garden of Gethsemane studying. Jasmin also took this picture. 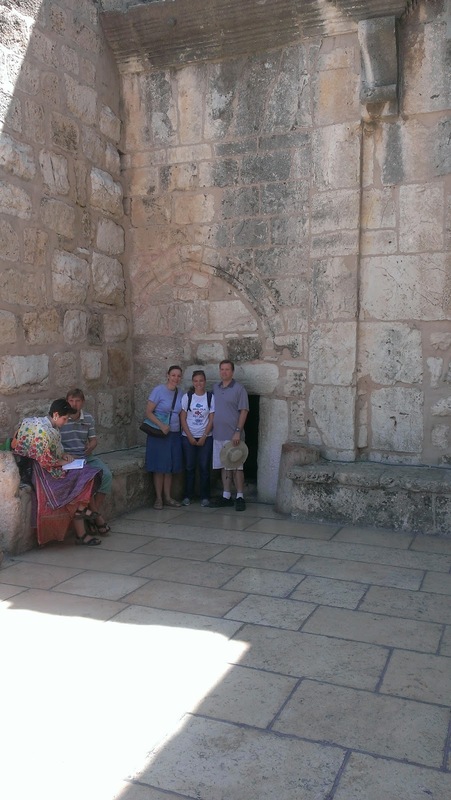 A picture of our group and our teacher Brother Judd at the Garden Tomb at our testimony meeting there. 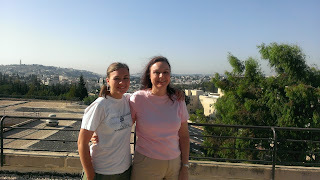 Me and my mom on the balcony at our hotel in Jerusalem the first morning we were there. Me and my dad at the Dome of the Rock. 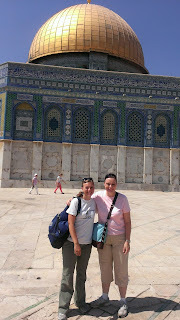 Me and my mom at the Dome of the Rock. 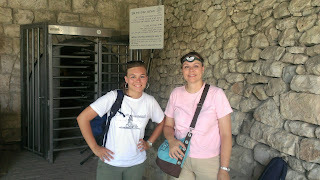 At the entrance to Hezekiah's Tunnel. Dad and me in Hezekiah's Tunnel. At the City of David. Outside the Old City of Jerusalem. On top of the Hurva Synagogue. Also on top of the Hurva Synagogue. Inside the Russian Orthodox Church of St. Alexander Nevsky. 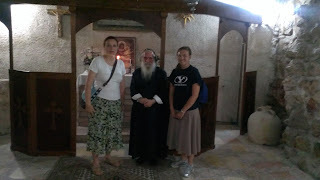 Inside the Syriac Orthodox of St. Mark in one of the Upper Room locations. 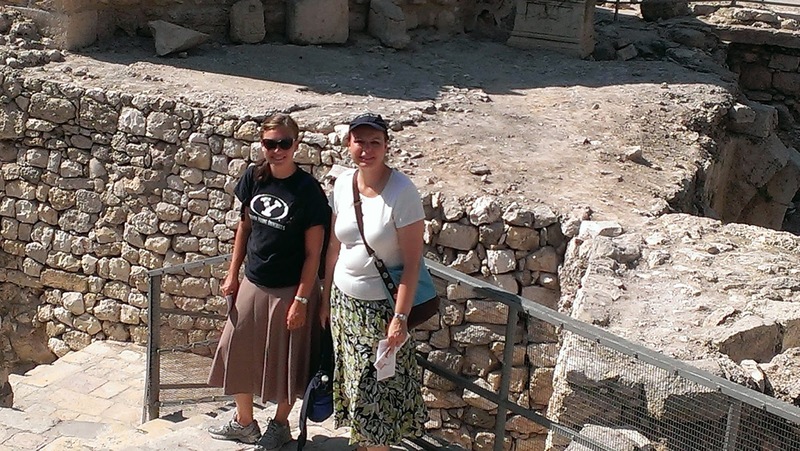 At the ruins of the Pools of Bethesda. At the Church of the Holy Seplechre. 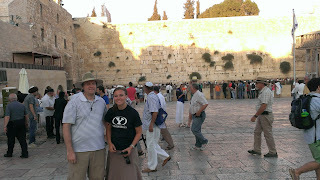 Me and my dad at the Western Wall at the beginning of the Sabbath on Friday night. Mom and me pushing the olive press at the Jerusalem Center. 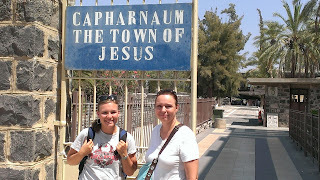 At the entrance to Orson Hyde Park. 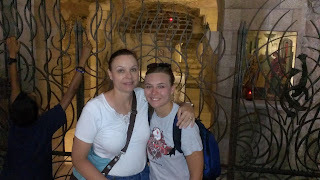 At the entrance to the Church of the Nativity in Bethlehem. Inside the Church of the Nativity. In Jerome's Grotto underneath the Church of the Nativity where Jerome translated the Vulgate. In the grotto where the manger was in the Church of the Nativity. At Sheperds' Field in Bethlehem. 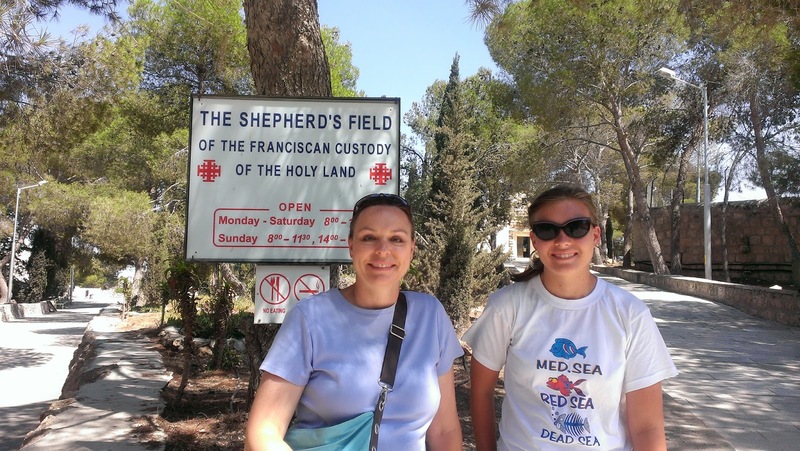 Inside the Catholic church at Sheperds' Field. 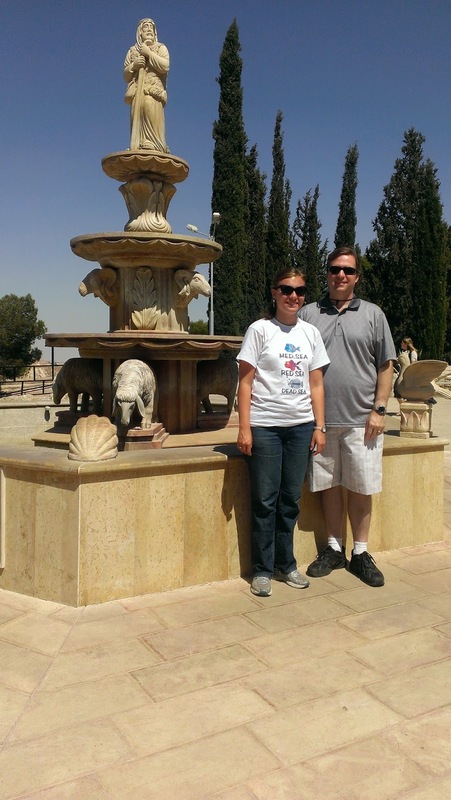 At a fountain outside the Church at Sheperd's Field. 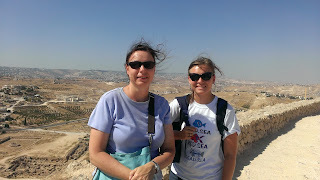 On top of the Herodion in Bethlehem - one of Herod's palaces. At the Davidson Archaeological Park at the place of trumpeting next to the Temple Mount. 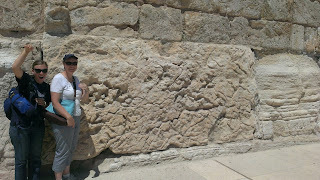 The wall of the Temple Mount from Jesus' time that Herod built. 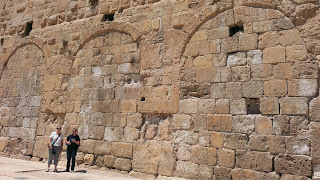 The triple gates at the Davidson Archaeological Park. 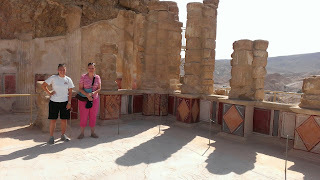 In the dining hall in Herod's palace at Masada. In front of the Church of the Annunciation in Nazareth. 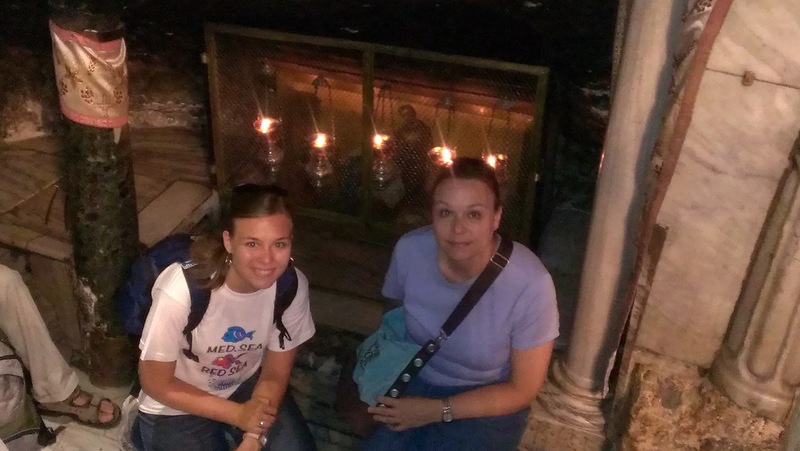 Inside the grotto in the Church of the Nativity. Outside of the Synagogue Church in Nazareth. 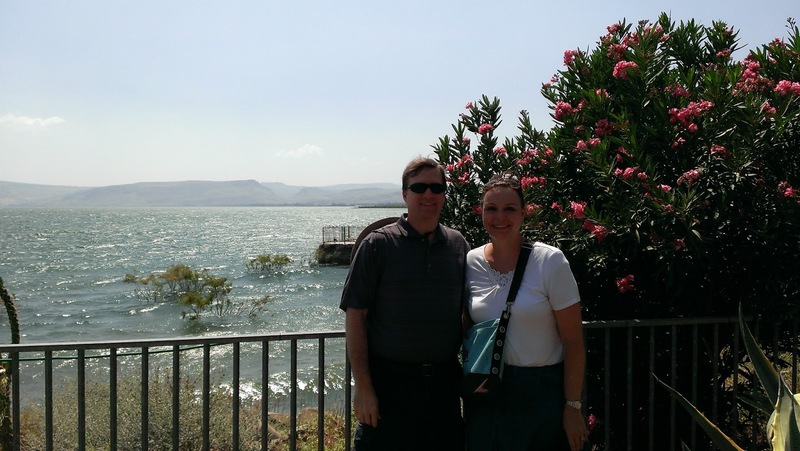 At Capernaum on the Sea of Galilee. 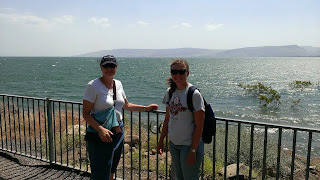 At the Sea of Galilee at Capernaum. The Church of St. Peter's Primacy on the Sea of Galilee. 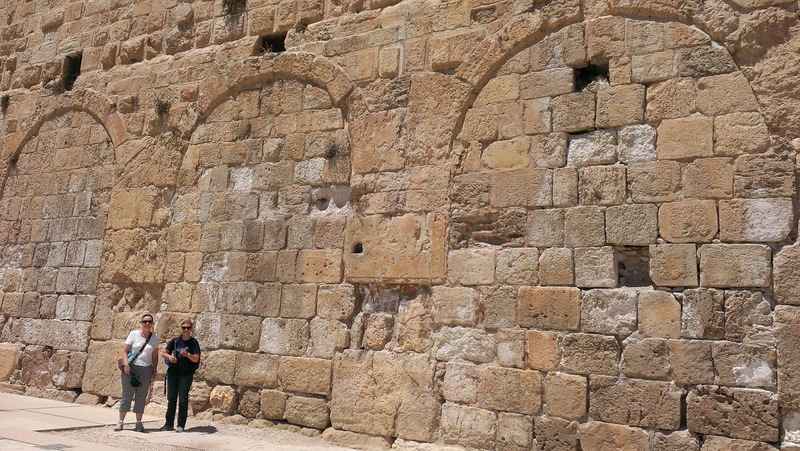 The Church of the Multiplication of the Loaves and Fishes. At the Mount of Beatitudes on the balcony of the church there. At Yardenit - the baptismal site on the Jordan River. On the train going into the city. At the Garden Tomb for a second time. 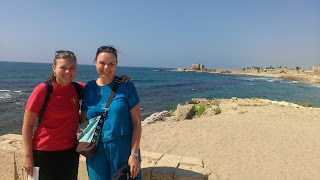 On the shore of the Mediterranean at Caesarea - the harbor that Herod built. 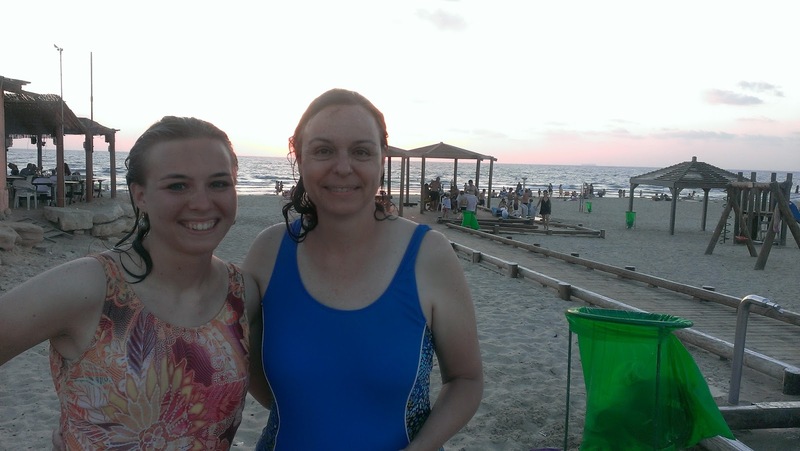 Swimming at the Mediterranean Sea.